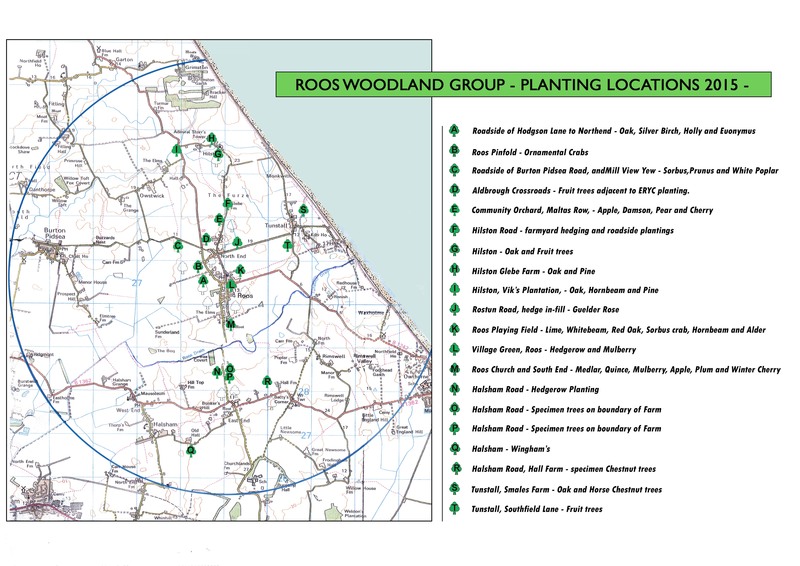 Roos Woodland Group was established in 2012 in order to coordinate and develop a tree planting policy for parishes within the immediate vicinity of Roos, Tedder Hill and Burton Pidsea Wind Farm developments. Subsequently, collaboration between landowners and ERYC (Heywoods)) helped identify hedgerows and parcels of land suitable for the planting of indigenous and traditional tree species. A Community Orchard, known as Maltas Row, planted some six years ago contains many heritage apple, pear and gage varieties many of which are now bearing fruit. Some of this fruit goes into our annual apple picking event when residents donate their surplus fruit to produce Roos Juice. Sales of which contribute towards funding further tree planting initiatives and maintenance of existing planting. 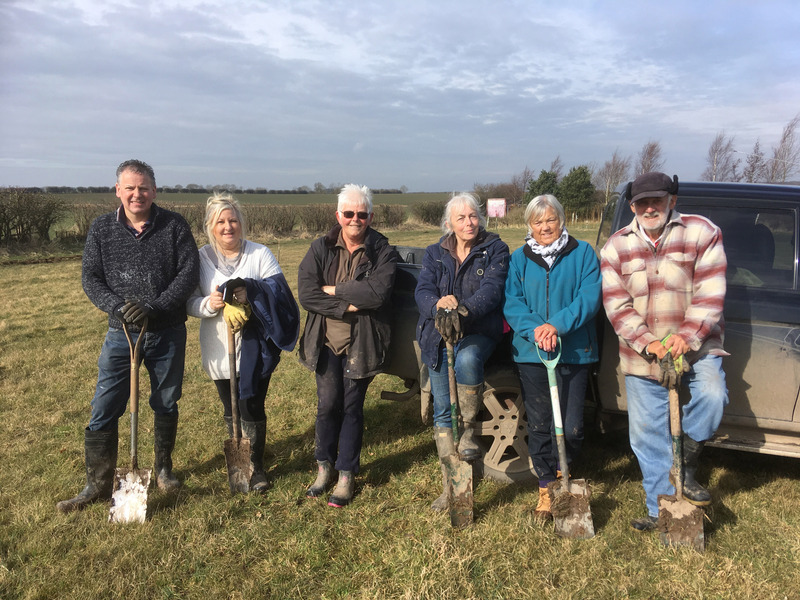 The Group has extended activities into planting early spring bulbs around the village not only to give an early pollen and nectar source for insects but also to brighten up winter days with crocus and native daffodils. Our latest projects involve collaboration with Roos Parochial Church Council to survey the wonderfully mature churchyard trees with the aim of maintaining them for future generations to enjoy. Restoration work is also being carried out on the hedgerows bordering public footpath 5 which leads from Roos Stores and Post Office towards Sand Le Mere on the coast. 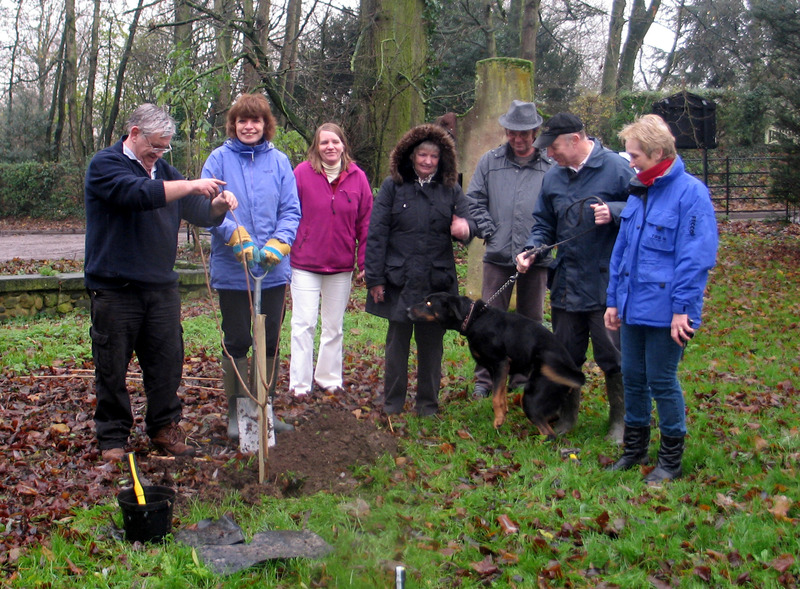 The Group meets on a quarterly basis but organises working parties to maintain trees during the summer months and to support tree planting programmes during the winter.